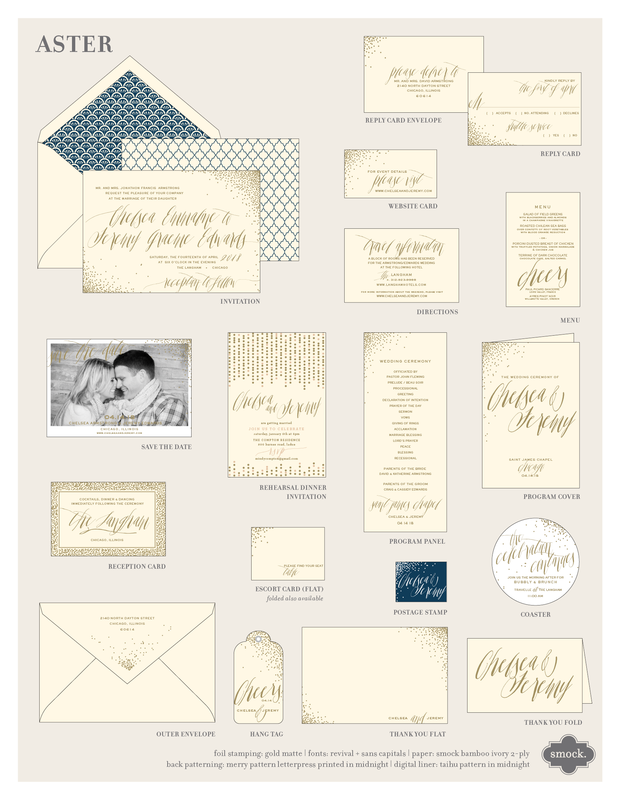 Aster - Smock. 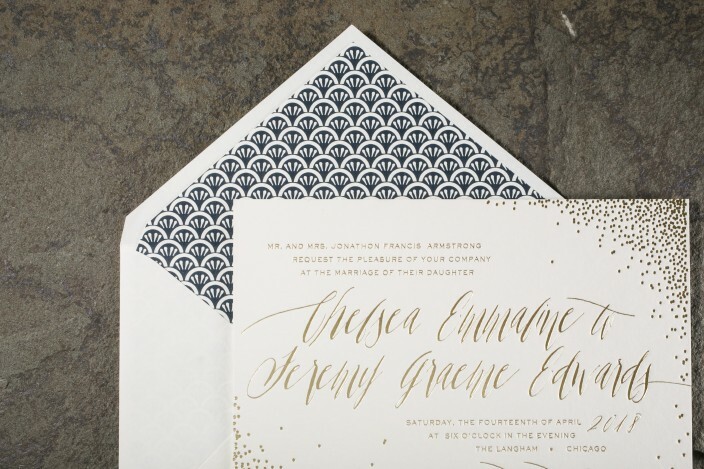 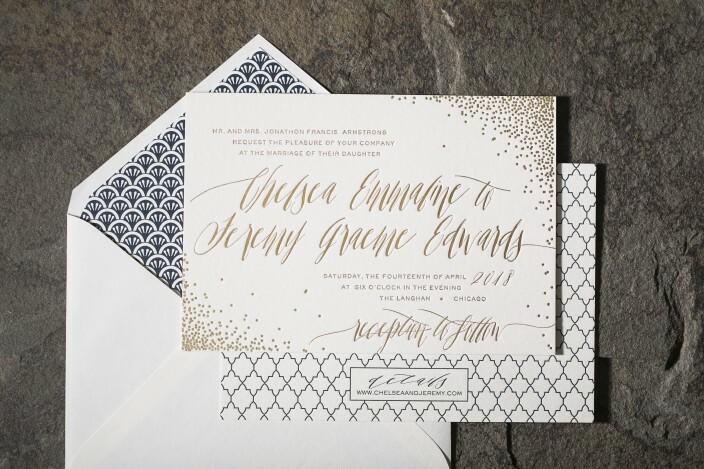 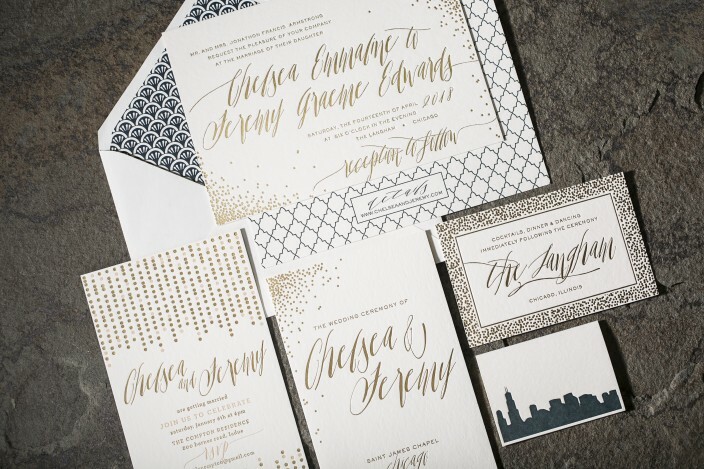 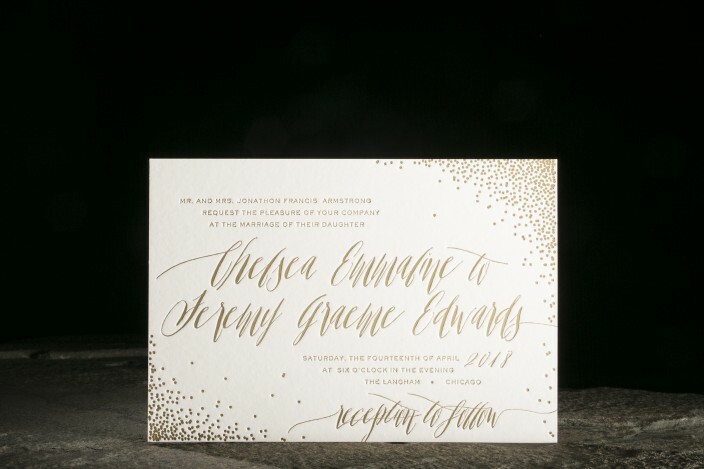 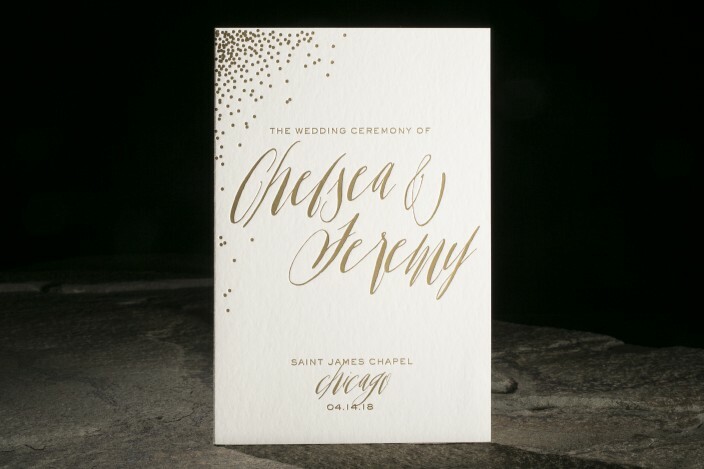 Gold foil wedding invitations. 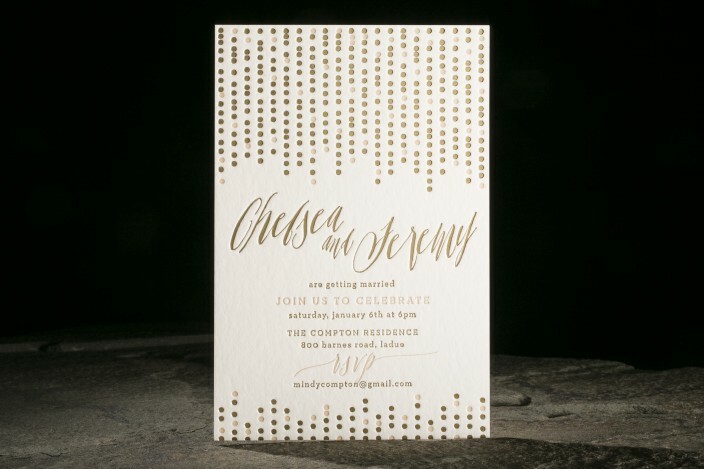 the aster suite: gold foil on ivory paper. 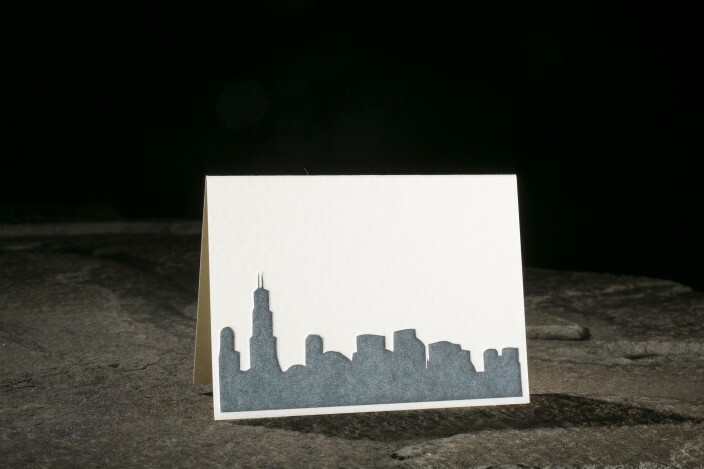 navy letterpress backer. 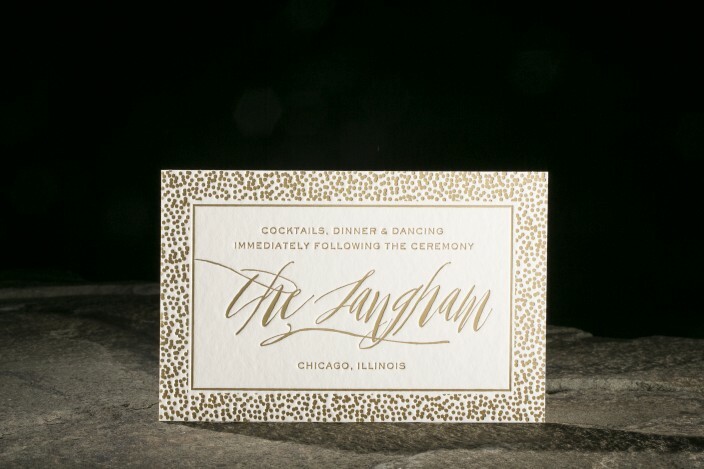 Elegant with modern type treatment.